Obituary for Margaret Jean (Edgar) Newcomb | Thomas Funeral Home P.A. 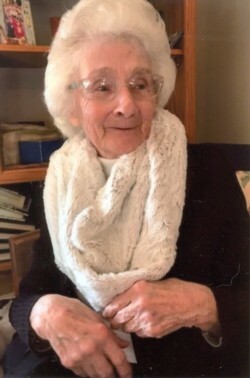 Margaret Jean Newcomb, 87 of Cambridge passed away on Saturday, February 9, 2019 at UMSMC at Dorchester. She was born in Cambridge on July 3, 1931 and was the daughter of the late Leroy B. Edgar, Sr. and Margaret Shenton Edgar. Mrs. Newcomb attended schools in Cambridge and graduated from Cambridge High School class of 1948. She worked at C&P Telephone Company and from 1952 to 1996, Mrs. Newcomb worked at the Eastern Shore State Hospital with 44 years as an activity therapist, where she received numerous awards. On January 2, 1954, she married Wilbur Noel Newcomb, Jr. who passed away on June 15, 2009. Mrs. Newcomb was a member of Grace United Methodist Church, American Red Cross (DAT team) Disaster Action Team, where she received the Clara Barton Award, AFEES- Assisting military after hours, co-founder of the Veterans Recognition Committee- the Eternal Flame at Beulah, American Legion Drum and Bugle Corps and the American Cancer Society. She loved her family, volunteering, working with the military, eating at River View at the Point, being a part of her daughter’s day care as those children called her Mom-Mom Jean. She is survived by three children, Bonnie Pink of Stevensville, MD; Donald Newcomb and his wife Patti of Newark, DE; Rhonda Doyle and her husband Patrick of East New Market, MD, eight grandchildren, Sean Pink and wife Kate of Baltimore, Stefanie Roselle and fiancée Grayson Wingert of Middletown, DE, Alexander Newcomb and Zachary Newcomb both of Newark, DE, James Doyle and wife Christine of Frederick, Jonathan Doyle and fiancée Wendy Lyons of Denton, Victoria Doyle of Cambridge and Benjamin Doyle of East New Market, and four great grandchildren, Ashlynn and Avery Roselle both of Middletown, DE, Frances Pink of Baltimore and Oliver Ewell of Cambridge, sister in law Barbara Edgar of Cambridge, two super special nephews Jeff Edgar and Steve Edgar both of Cambridge, a special friend Richard Messick of Cambridge, a special caregiver Michelle Johnson of Cambridge and several nieces and nephews. In addition to her parents, and her husband, she was preceded in death by her brothers Leroy B. Edgar, Ronald “Sonny” Edgar and a special nephew Ronald Mark Edgar. A memorial service will be held on Thursday, February 21, 2019 at 1 pm at Thomas Funeral Home, P.A. in Cambridge with Mr. David Tolley and Rev. Dale Krotee officiating. Family will receive friends one hour prior to the service. In lieu of flowers, memorial contributions can be made to Grace United Methodist Church, P.O. Box 815, Cambridge, MD 21613 or to the American Red Cross.